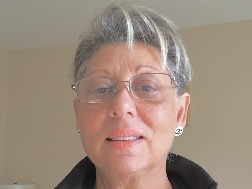 Hi, I’m Sophie, and I am a very compassionate natural psychic reader with over 30 years of professional experience. I enjoy reading in areas of career and work, your destiny and life path, along with compatibility between two parties based on astrology. When I read for you, I will mainly use my cards in conjunction with my natural psychic abilities and my guides, in order to give you as much guidance and insight as I can during my readings. I feel that it is very important to be compassionate and honest during my readings, as I feel that this may strengthen the bond between us, which allows me to guide you along your life path in the best possible way. Besides giving readings, I spend a lot of my free time meditating with my crystals, and developing my psychic skills; I have felt that I was a psychic since I was 12 years old, and have spent a great deal of time since then developing these psychic skills to become the reader that I am today. So, for a direct yet uplifting reading, give me a call today! Excellent reader give her ago, you will not be disapointed. Get 15 minutes to speak to Sophie for just £4.99 (that’s a value of £22.50! )..